The folks behind this interesting SF/F comics project contacted me in hopes that I would post something about their Kickstarter campaign. And so I shall! 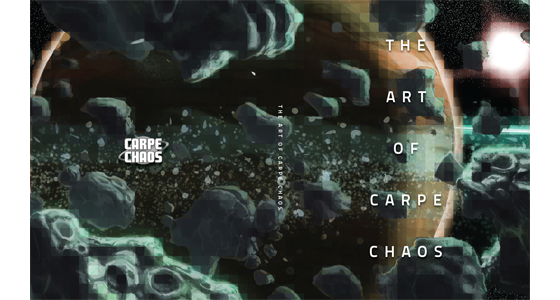 The independent graphic novel series Carpe Chaos has launched a Kickstarter campaign to raise funds for a concept art book. 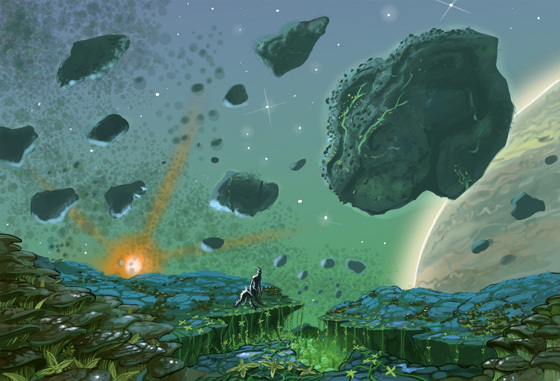 The team of writers and artists behind the project have amassed thousands of concepts when fleshing out their huge universe, and they are hoping for the chance to share that artwork with fans. The book will include at least 150 pages of imaginative alien creatures along with their environments, technology, and spaceships, many of which haven't yet been shown to the public. Whether you're an artist looking for inspiration or simply a concept art aficionado, this book won't disappoint! Be sure to check out the Kickstarter video to see many of the concepts that will be included in the book. If you're interested in supporting the project, you can do so here (there are lots of rewards for donating). So far, they've collected $1,500 of their $7,500 goal, but there are still two weeks or so to go. You can find out more about Carpe Chaos on the website.